in reference to the military flight tankers’ flight deck – Flyback certified chronograph. Designed for aviation, this watch vertically meets a need to overcome the daily routine. 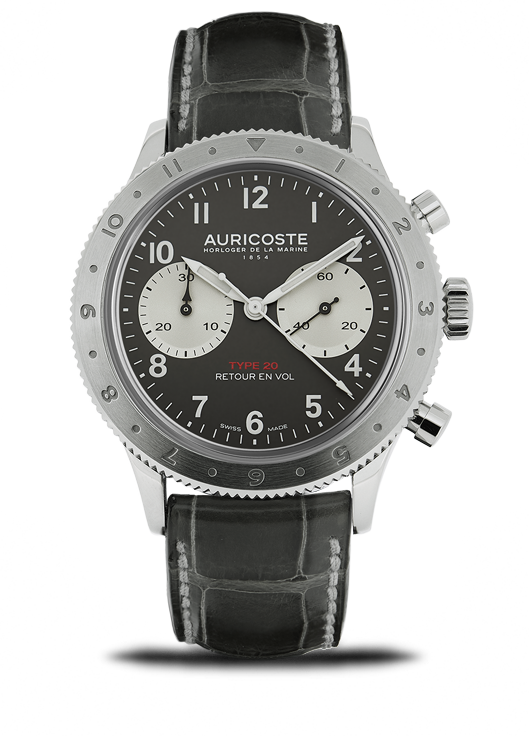 The diameter of the case is 42mm and is built in 316L steel. The watch features a genuine alligator strap and a steel deployment clasp. The Swiss movement, manufactured by Dubois-Depraz is an automatic mechanical calibre, Flyback certified, 57 jewels and 52 hours power reserve. Hesalite glass (prevents the glass from breaking).